Thank you for joining me today! I am sharing a couple of super quick and easy cards I created using the ever fabulous Paper House Papers and Stickers. Plus we were given the opportunity to work with the a set of stamps from My Sentiments Exactly. 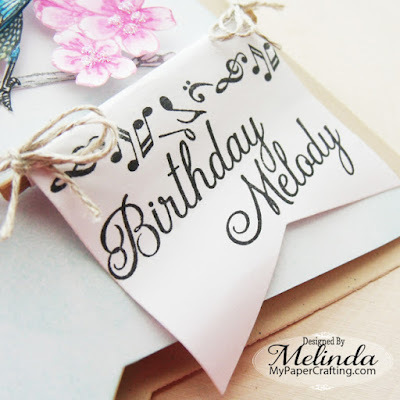 For my first card I used the sweet and fun papers from the Hello Baby Girl Paper Crafting Kit. I just love all the prints in this kit. So pretty! I used the prints for the main focus of the card. I then had fun adding layers of circles in various colors. Here is a closer look at the stamped sentiment. I love the mix of fonts. Both playful and elegant. This sentiment is perfect for some many types of birthday wishes! Take a closer look at the adorable puffy hot air balloon sticker! I just LOVE these stickers. I can’t resist touching them. Now for my second card. The white cardstock base is 5.5 x 5.5. I then turned to my Sliced Love Paper Pad and cut out the patterned paper mats. I then used the coloring frame included in the stamp set to stamp out the beautiful floral frame and sentiment in a coordinating ink. I have to say I thought these stamps stamped beautifully. The quality of their images is fantastic! I then colored it in with my Spectrum Noir Clear Glitter Brush Pen. I couldn’t capture the sparkle on camera but it is there! It adds such a soft and elegant shimmer. Look at the pretty banner sticker that is also included in the paper pad! I have to give you one more view showing the beautiful rose stickers that come with the paper pad. These cards both came together easy and the results are fantastic! SNEAK PEEK OF TOMORROW's PROJECT!! !